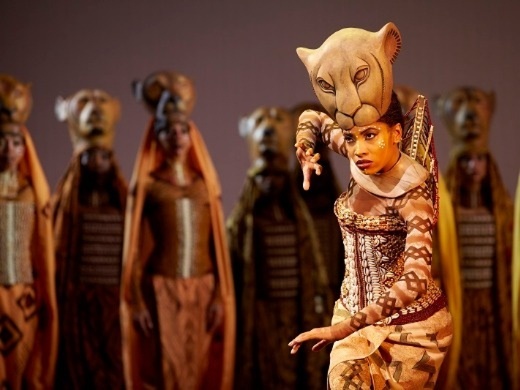 You will never forget the theatrical event that is Disney's internationally celebrated musical THE LION KING. Brilliantly reimagined by acclaimed director Julie Taymor, Disney's beloved film has been transformed into a spectacular stage production that explodes with glorious colours, stunning effects and enchanting music. At its heart is the powerful and moving story of Simba - the epic adventure of his journey from wide-eyed cub to his destined role as King of the Pridelands. For information on accessibility please call 0800 912 6971. Collect at the box office or e-ticket. Strobe lighting is used several times during the performance. You will receive a confirmation email. If you have chosen collect at box office please print the confirmation and bring on the day, a minimum of 30 minutes before the performance start time. If you have chosen e-tickets you will receive them by email which you can print at home. How to Get to the Venue: By Tube-Covent Garden tube station on the Piccadilly Line. still feels as fresh and soul-stirring as ever.